As knitters, we all love yarns! A yarn store is our haven. It’s common for us to hoard yarns we find here and there. Yarn sale? We are so there! We like owning various fibers and colors for every project we can think of. And yes, we save the best ones for last. Until one day, we do that yarn inventory because it’s already taking up too much space. Don’t waste any of your special yarns! If you want to use up your yarns, we have various shawl patterns that you can adjust until the whole skein is used up. These specific projects are not gauge-sensitive, and you can increase or decrease the number of rows as you want. You can also repeat some charts. Remember that you need to pick the correct size of knitting needles for specific yarn weights. It would also be helpful to use a lifeline so you can go back to specific rows when you make a mistake, rather than starting all over. For beginners, the Ready Shawl is a good project to start with. It is a traditional triangular shawl that is written in one size. However, you can knit a bigger shawl by repeating the rows or working more sections. 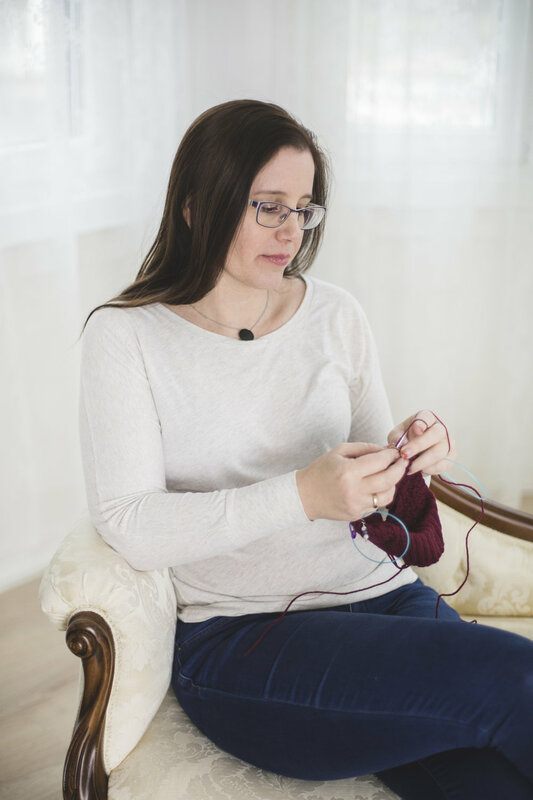 The lace sections are quite easy to knit and the stockinette part will allow you to be more relaxed while you knit. The FREE Rising Sun pattern can be knitted with any color you have, from solid or semisolid to variegated yarns. The pattern contains two charts. You can knit the first chart until you have used up almost half of your yarn, and you can knit the second part to use up the second half of your skein. For the winter months, you can knit a short scarf or an infinity scarf that you can wrap around your neck a few times for more warmth. The Urban Legend Scarf is an easy pattern to follow. It uses simple cable stitches along with your basic knit and purl. Semisolid yarns can give the cable pattern a more interesting appearance. If you have an extra skein left over from making this scarf, you can also knit the matching Urban Legends Hat. The Orange Sorbet is a fun and quick knit for intermediate knitters. It is a simple combination of lace and stockinette stitch. You can easily adjust the size according to the number of skeins you have. It is great for casual wear for both little girls and adult women. If you have a variety of colors in one fiber, the Fata Morgana shawl will be great for this. It can be broadened to make a stole so you can make sure that you use up the whole skein, without wasting any yarn. You can cast on more stitches in multiples of 16 to make a wider stole. This pattern is ideal for beginners in lace knitting. The Tourleville Shawl pattern is perfect for those gradient yarns that you want to use up. The size of the shawl can be modified easily. Just repeat the pattern as much as you need to use up your skeins. For beginners craving a more adventurous lace knitting experience, you can try the Wildspitz Shawl. Designed to honor the 2015 Swiss Wulle Festival, this shawl reflects the undisturbed nature of Swiss forests with its clear colors, vertical lines, and soft shapes. You can repeat the body pattern as many times as you wish to consume a whole skein. You don’t have to buy specific yarns with these 7 adjustable knitting patterns — just whichever yarn you want to use up. These shawls are great gift ideas for your friends and loved ones. So, start knitting and make more room in your yarn bin for next year’s new fibers.